Carly Fiorina attends Scott Brown house party in N.H.
Carly Fiorina at Southern New Hampshire University on Saturday. RYE, N.H. — With her New Hampshire poll numbers rising, Republican presidential candidate Carly Fiorina made two stops Sunday in the state, where she mostly focused on her personal story and emphasized voter engagement at two events. Recent polls have shown Fiorina’s support increasing in New Hampshire. The latest CNN/WMUR poll showed her with support from 16 percent of Republican voters in the Granite State, second to businessman Donald Trump in a crowded GOP field of 15 candidates. Fiorina began her public schedule on Sunday – the second of three days she’s spending in New Hampshire – at Brown’s home. She is the third presidential candidate he has hosted so far, following visits by Ohio Governor John Kasich and New Jersey Governor Chris Christie. For the most part, Fiorina stuck to familiar themes in her remarks. At both stops she downplayed her years as CEO of Hewlett-Packard, a tenure that has often been criticized though Fiorina has fiercely defended it. Her remarks Sunday drew an enthusiastic response from some present. She emphasized that, if elected, she would make sure the country played a more forceful role in foreign affairs, saying that the rest of the world must know that “the United States is back in the leadership business.” She took about 10 questions from among the 250 people present, often engaging the questioners in personal terms. 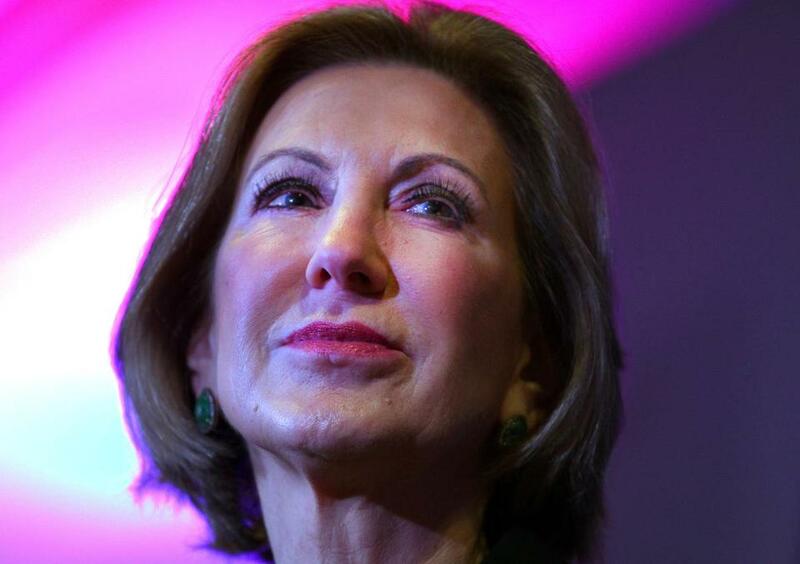 Fiorina will continue her New Hampshire swing on Monday with stops in Manchester and Bedford. Anna Marketti can be reached at amarketti13@gmail.com. RobertWay can be reached at therobway@gmail.com.